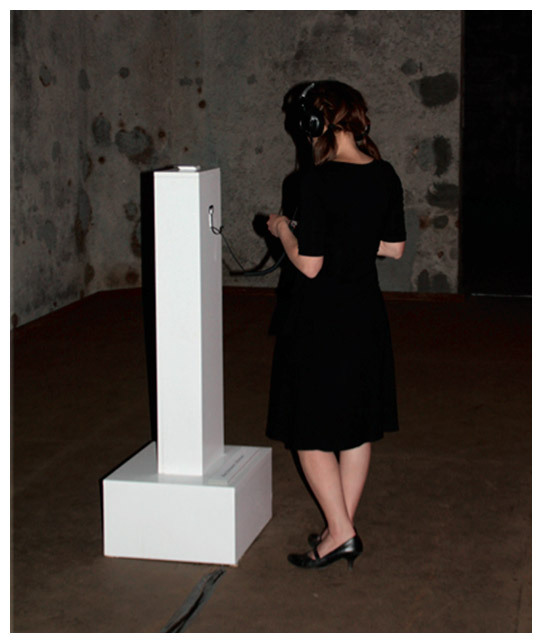 Max Schranner installs on an exhibition a radio play, that can only be heard alone via headphones. Topic of his radio play is an exhibition situation. Gradually he makes his listener an accomplice of his thoughts, at first generally and friendly, little by litte he asserts forcefully.